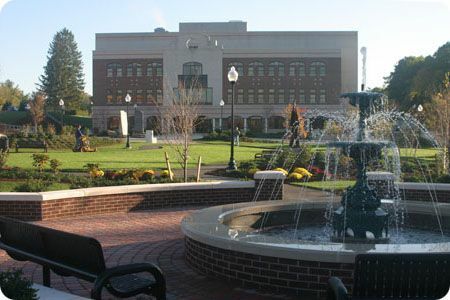 The Harvey A. Andruss Library (named for a former Bloomsburg University president) provides access to more than 450,000 volumes of books, bound periodicals, and government documents; 2 million microforms; 50,000 journals, magazines, and newspapers in both print and electronic format; and over 150 online databases. The Library and its facilities are open to the general public. The technologically designed building provides more than 900 individual study spaces with more than 260 computers. There are over 30 group study rooms and printing/photocopying rooms on all 4 floors, as well as a faculty/graduate student study on the 4th floor. The building also has exhibit spaces and a University Archives and Special Collections Reading Room. Wireless computer access is available in all areas of the building.